On the internet, they're legends: the tag-team duo known as BLANK, famed for their incredible game-playing skills. In the real world, however, the lives of 18 year old Sora and his 11 year old stepsister Shiro have been spiraling out of control. Now existing as shut-ins, they rarely leave their house and are unable to be separated without suffering panic attacks. Games, for them, are the safest retreat from reality. Until they win a chess match against a mysterious opponent known as Tet and find themselves pulled into a game bigger than any they could have ever imagined. Now, in a world where the outcome of games determines the fates of both civilizations and species, they must defend Humanity in the ultimate challenge, vying against a host of otherworldly competitors for the right to rule them all! But if they fail, it means slavery or destruction for all mankind. No pressure, of course! Can two misfits who can barely handle their own lives somehow rise to the occasion and save the human race? 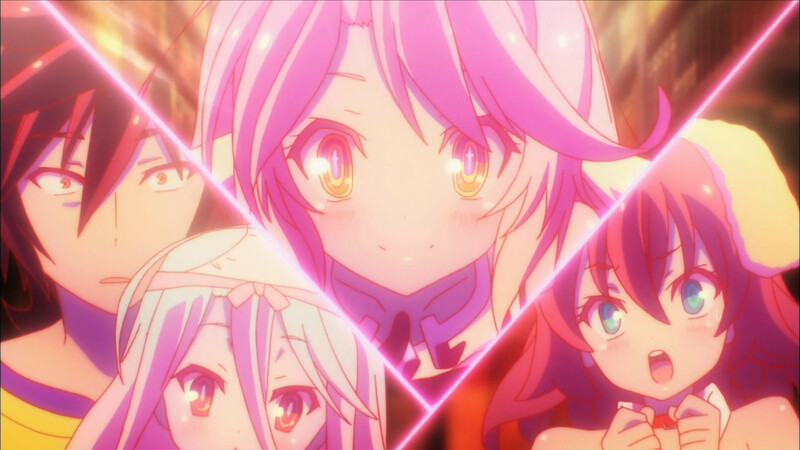 The competition is on as their battles begin in NO GAME, NO LIFE!